Competing successfully at present at EI100 level. She is now ready to move up to Pony 2* with her next jockey, as my jockey is now playing interprovincial hockey. The mare also has 66 SJI POINTS. Gem has jumped double clears frequently throughout her Eventing career. She has also jumped at Cavan EC on temporary tickets- dc in both the 95 and 105 championships. Gem is a very blood pony who has a great jump. She could even go show jumping. She was part of the Open Northern Ireland Schools winning team, & qualified this year for the Silver Spurs Finals. 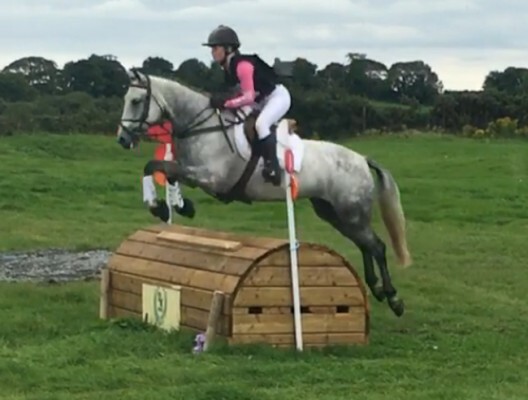 A great pony for an ambitious young rider to produce further.